Opportunity Corridor is currently underway! 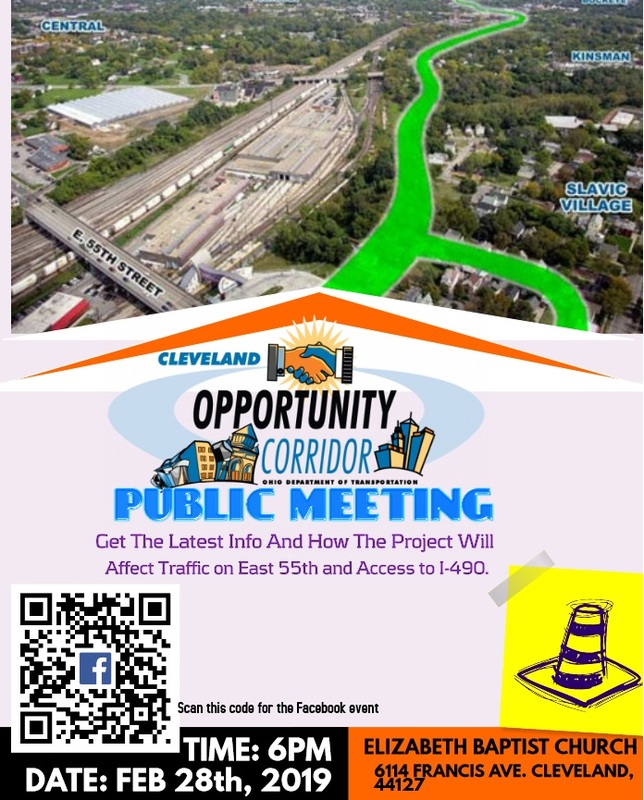 A meeting about the project will be held February 28, 2019 at 6:00 p.m. Get the latest information about what this will mean for the neighborhood’s future in terms of potential traffic readjustments. See how this change affects drivers using East 55th and I-490. All community members are welcome to attend if interested. Please call or e-mail Susan at Slavic Village Development for any questions.